Rory Cowan with his mother Esther. 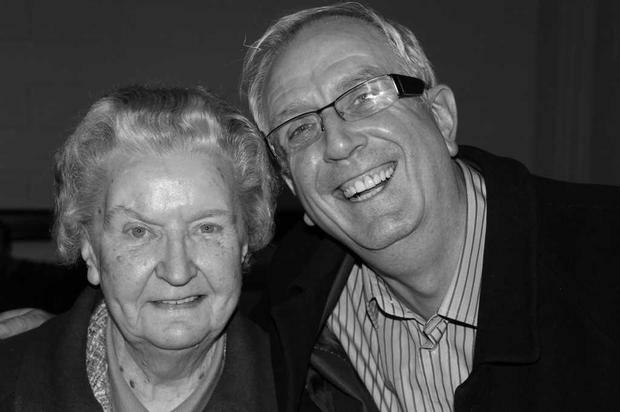 Rory Cowan's mother Esther has died at the age of 85. Esther, who had dementia, passed away at St Vincent's Hospital on Monday, surrounded by her family. Rory (59) had departed the long running TV series and theatre show Mrs Brown's Boys after 26 years in July 2017. He cited the desire to spend more time, and especially Christmas, with Esther as his main reason for leaving. Rory had been touring in Australia in January 2016 when he was told Esther only had days to live but he could not get home due to an insurance issue. He spoke last year of his joy at finally being able to spend Christmas with her. Esther was mother to Rory, Gerard and Maebh and had four grandchildren.